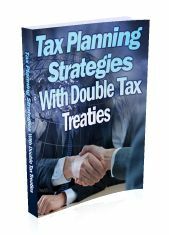 This guide contains detailed information on how you can use the terms of the UK´s double tax treaties to reduce your UK tax liability. It covers using double tax treaties to reduce income tax, CGT, corporation tax and inheritance tax. This guide contains detailed information on how you can use the terms of the UK´s double tax treaties to reduce your UK tax liability. Can you use the CGT article in a double tax treaty to avoid CGT?